Last night I was up until 4:00 am making a cheesecake for today. The recipe was very simple but was a last minute idea. The cheesecake calls for 1 hour of baking and then 1 hour in the oven without heat. Making the cake this way creates a beautiful top. After that I let it sit 1 hour on the counter before refrigerating it. The cheesecake is an Alton Brown recipe. The doily is finally finished! 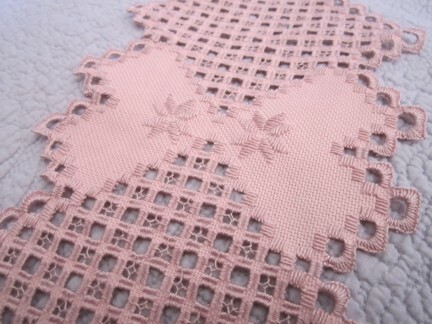 Last night I almost finished all the buttonholing on the edge of the doily. This morning it took 2 hours to complete and another 2 hours to run all the ends and repair weak spots and thread breaks. I had to use "Stop Fray" on some of the shorter threads. First putting the glue on the thread and then running the end. I took a great deal of care with finishing so hopefully the doily will last. 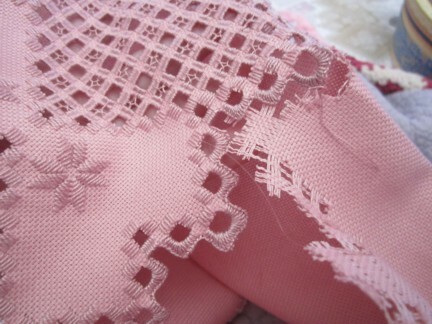 While I was cutting the doily from the fabric I was at first nervous but the unwoven edging made it very simple. Definitely worth the effort of all the thread pulling. 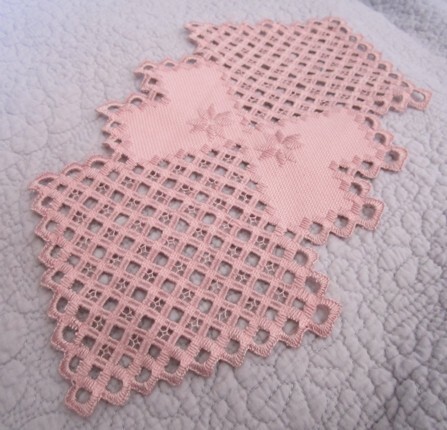 As I cut I became excited seeing the hardanger needlework turn into a piece of lace! Cutting the doily free from the fabric. The true test was in the washing! After admiring the doily came the washing. I washed it gently by hand and it stayed together!